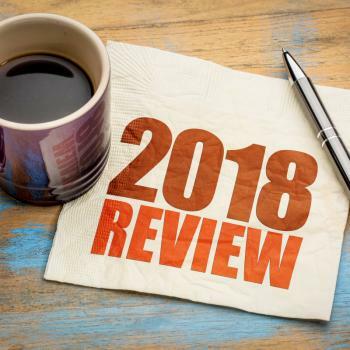 A new survey from the Pew Research Center, just released today, notes that 80% of Americans believe in God, but only 56% of Americans agree that God is like the one described in the Bible. Another 33% believe there’s something out there even if they can’t define it. And 10% of people are straight-up atheists. 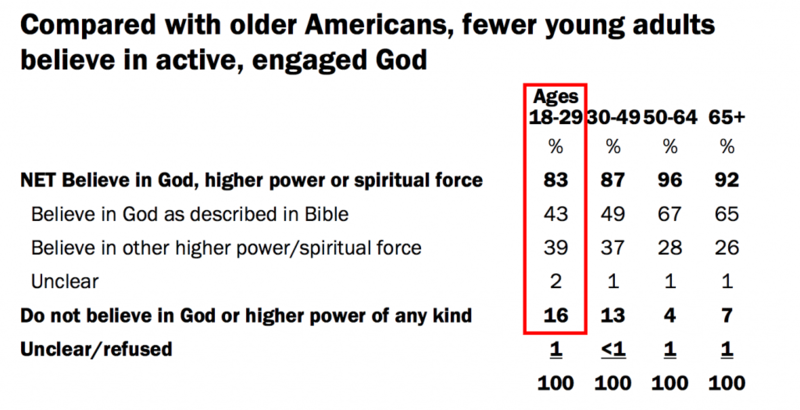 1) Young people are less religious than any other group. 16% of people under 30 are atheists while only 43% accept the biblical myth of God. The rest are in some nebulous haze where they believe something, but not really, but just-don’t-get-mad-at-them. I say that’s reason for optimism! 2) The more formal education you have, the less likely you are to believe religious myths. Shocking, I know. You might believe in something even after college, but the more higher education you have, the harder it becomes to accept biblical stories as real. 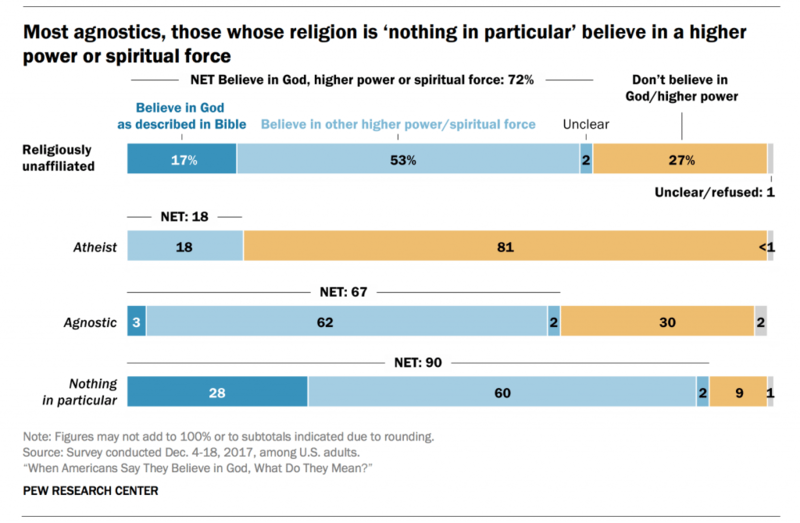 When 21% of white Democrats don’t believe in God, surely it’s a sign that Democratic candidates should stop pandering to a shrinking religious base and at least start paying some lip service to the rest of us by promoting church/state separation. 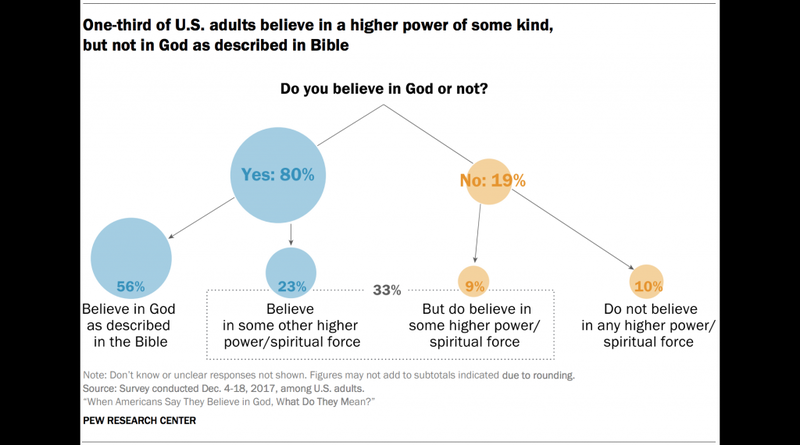 4) Even a handful of atheists believe in some higher power (whatever that means). Among agnostics, though, nearly two-thirds (62%) believe in some kind of supernatural entity out there. Surprise! Agnostics are wishy-washy. 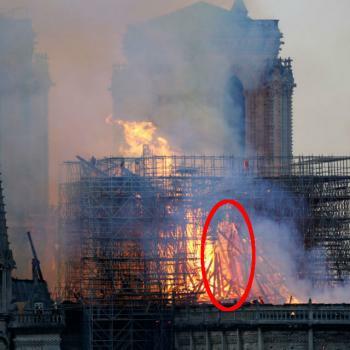 Who knew. The biggest takeaway from all this for me is that belief in the Bible — certainly in a literal interpretation of it, complete with a wrathful, vengeful God — continues to be on the decline, but the number of believers were so numerous to begin with that a drop in numbers still leaves them with a strong majority. However, the future looks bright. Fewer young people buy into those myths and those numbers are sure to get worse for believers as the Donald Trump era continues. 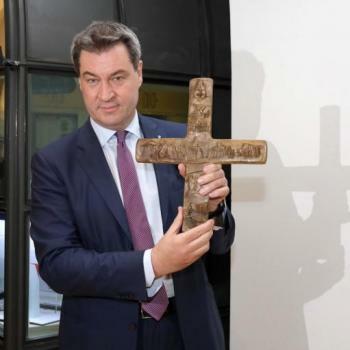 Bavaria's Government Insists on Wall Crosses; It's "Cultural," Not "Religious"
"Who cares what a church thinks. I wouldn't think twice about taking half a church's ..."
"I posted a bunch of verses about God and His followers committing infanticide, as well ..."
"My favorite part of these Ark posts, Hemant, is that I'm pretty sure Hambone reads ..."
"Yeah! Say that again and I will punch you in the aura.That’s what you sound ..."